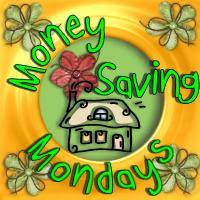 My Little Patch of Sunshine: Money Saving Monday #29 - Libraries! How often do you go to the library? We go at least once a week, sometimes twice! Our library has limited hours, which means we have to plan well in order to make it there when it's open, but I love the library and always have! I read many, many books throughout the year. For a while, I was tracking the books on this blog, and I would often read 15 - 25 books a month. I think that's probably still true, maybe a bit higher when I consider books that I use for prepping a class. Definitely higher when I count in children's books! The library allows me to read a wide variety of books without investing a penny. I rarely buy fiction but borrow it from the library instead. I borrow cookbooks from the library before deciding to purchase them. I borrow tons of non-fiction and research books from the library. Colin loves to read series, and I encourage him to borrow them from the library whenever possible. Nate loves non-fiction books, and will often come home with books about robots, volcanoes, and how-to-draw. Bo likes to read mysteries and downloads books from the library to read on his Sony e-Reader . In addition to books, we also borrow audiobooks and dvds from the library. Our library has a page on their site giving an idea of how much money is saved by using the library. When I filled it in (conservatively) we saved over $10,000 last year by using the library. I knew it saved money using the library, but I didn't guess more than $10,000! Libraries often have classes and events that are free, have a wide variety of magazines and newspapers available, and have computers available for use. They are a wonderful resource in communities, and a fantastic money saving place to visit! We also make good use of our library. We're lucky to have pretty good library hours, sometimes even Sunday afternoons when library foundation funding is available. We give money to that, so I'm glad to see it used to increase accessibility among other things. Every once in a while I check out a book that I decide I need to own before I have finished it, but I read many more books than I would like to pay for...or store.